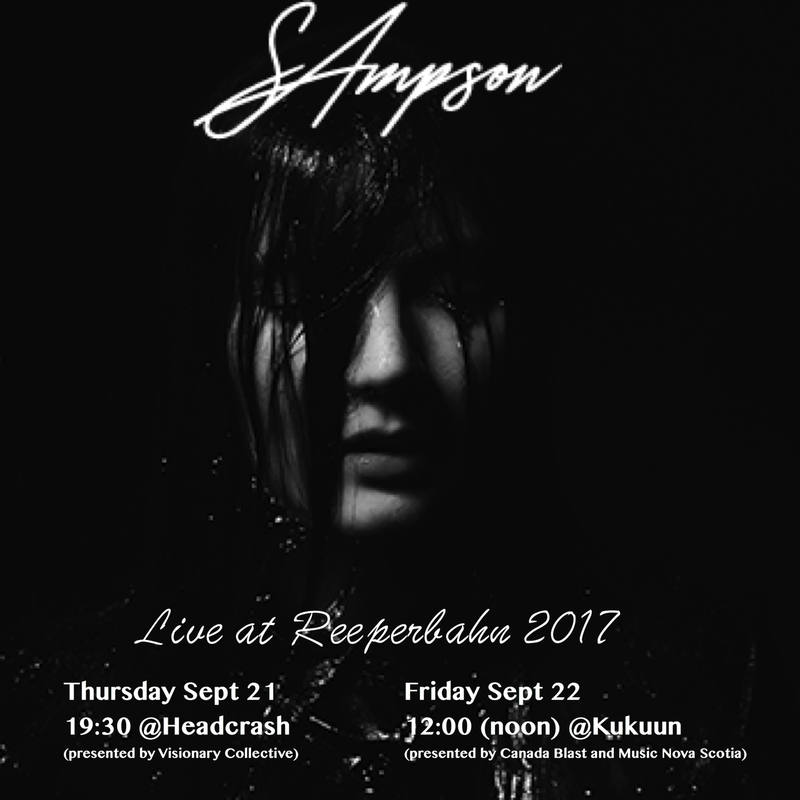 Extraordinary Live-Acts from all over the world are performing Classic- & Indie-Rock, fresh pop music, and harmonic soundscapes in Hamburg. 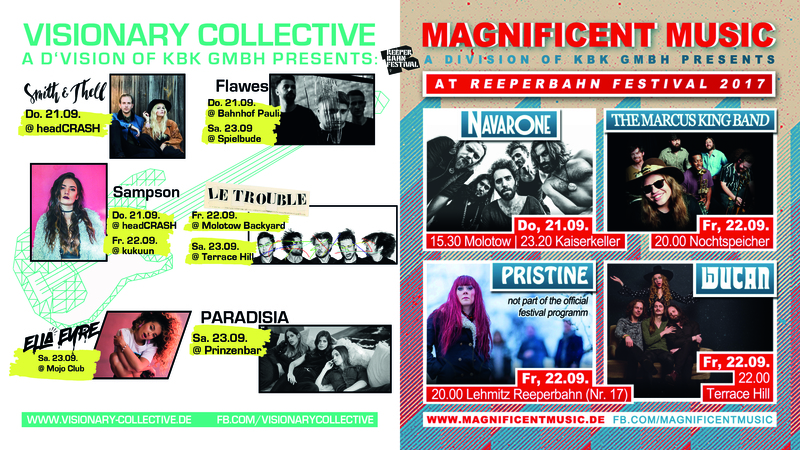 KBK, Visionary Collective & Magnificent Music are presenting 9 Acts with at the Reeperbahn Festival. From September 21. – 23. there will be fascinating Live-Acts, great music and pure festival vibes! The members of Uriah Heep were enthusiastic: „Navarone is one of the best support groups we’ve ever had”, say the hard rock musicians from London. Anyone who goes for the Black Crowes or Wolfmother and who likes the powerful sound from two guitars, bass and drums and a real shouter behind the micro, Navarone is the perfect choice! Soar souls and broken hearts – Sampson’s songs want your substance. Her first album – a handful of subtle pop anthems – plus the single „Hurricane“, which proved to be an instant hit in Germany. In a short time only the song counted more than a million streams on Spotify. For her upcoming opus „Dark Sky Night“ the singer gathered a team of songwriters and producers around her, who already recorded in the studio with Prince, David Bowie and One Direction. It should be just a question of time until Sampson’s name is among the greatest of them. 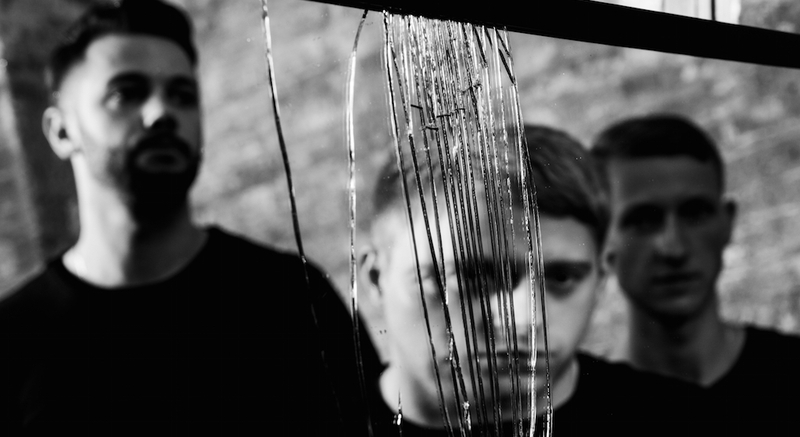 FLAWES’ career startet with a big bang, after self-releasing their album ‘Don’t Wait For Me’, which was defined by emotional synth-pop sounds. Their first single instantly climbed on #8 of the Spotify UK Viral Charts and made it into the BBC Introducing Playlist. Shortly after first festival gigs followed, such as Great Escape or Live at Leeds. 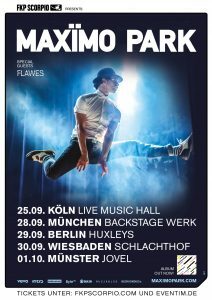 FLAWES will be supporting Maximo Park on their autumn tour! Maria Jane Smith and Victor Thell, who simply call themselves Smith & Thell, got to know each other as teenagers at their Swedish home of Helsingborg. Since the release of their first album single „Statue (The Pills Song)“ two years ago, something is clear: the duo features a certain affinity for dark lyrics and catchy productions. Smith & Thell count among the most acclaimed songwriters of Sweden, being responsible for ten platinum singles and 150 million clicks on Spotify. This year they have already penned the first successful hit for Sunrise Avenue. He is 21 years old and is regarded as one of the biggest talents of the blues. y now, the singer and guitarist has his own band with the following line-up: guitar, bass, drums, keyboards, saxophone and trumpet. He calls his music style “soul-influenced psychedelic rock”. The youngster’s band is already being acclaimed as an outstanding live act! This clever, joyful and amusing band, which is named Le Trouble, comes from Montreal in Canada. On live occasions, Le Trouble create wonderfully ironic, energetic indie rock with a lot of power and guitars. Their current album “Making Matters Worse” (Dock 7 Records & Management), on which they sing about “Vampires” and “Sad Blondes”, promises a lot for their live concerts! You really need much self-confidence to cover Bruce Springsteen’s „Dancing In The Dark”. Paradisia, a trio of youngsters from London, have the guts you need and transform Springsteen’s classic song into a ballad with harp and piano, which really gets under your skin. 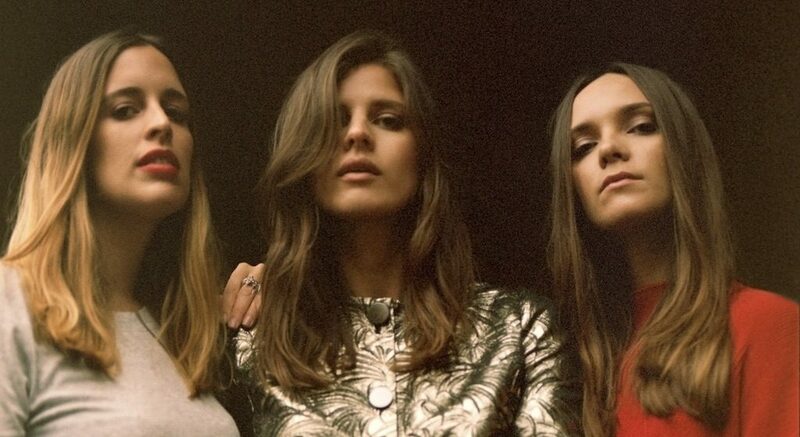 Paradisia are amongst the most promising bands 2017 for a reason: handmade & athmospheric songs as well as perfect harmonic vocals are defining Sophie-Rose Harper, Anna Pesquidous and Kristy Buglass. Ella Eyre is a candidate for the olympus of soul queens. The Londoner’s voice has a dynamic that does not need to hide from the one Adele generates so impressively. In 2013, she has already scored a breaking No. 1 hit in the competitive British charts as the singer of the group Rudimental. Subsequently, her first own album was made. For “Waiting all Night”, she was even nominated for a Brit Award. 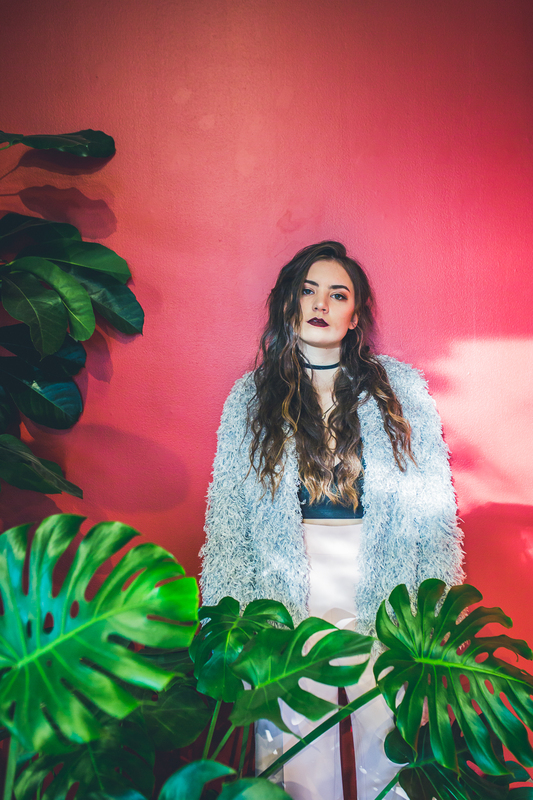 With her current Single „Ego“ she creates a staccato, sunny hymn for everyone and is returning to Reeperbahn Festival! 2014 was the last time she performed here- on the Universal Music Night & on stream: the audience was thrilled! The Dresden-based band Wucan plays classic heavy rock combined with an array of infatuating hippie and retro sounds. The band consists of singer Francis Tobolsky, guitarist Tom George and bassist Patrick Dröge. The almost opera-like voice is accompanied by fast blues-rock passages, psychedelic and folk elements – usually created by Tobolsky’s flute. The 60’s and 70’s never sounded fresher! Due to technical production reasons the duo Ward Thomas cannot attend Reeperbahn Festival this year. Sampson’s new single out now! Enjoy Sampson’s new single „Shake The Fire“ – out now! 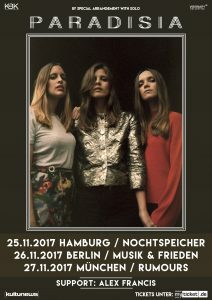 Nicht ohne Grund zählen Paradisia zu den vielversprechendsten Bands 2017: Handgemachte und atmosphärisch dichte Lieder samt perfektem Harmoniegesang machen Sophie-Rose Harper, Anna Pesquidous und Kristy Buglass aus. 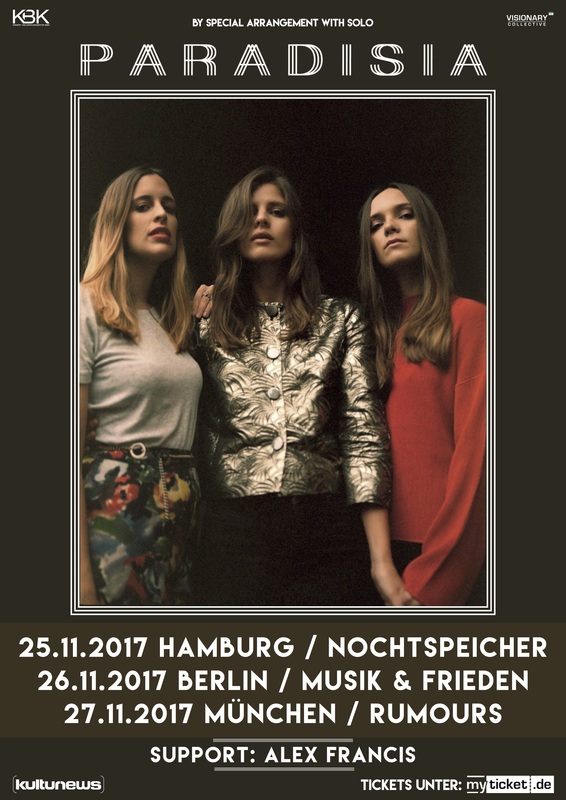 Das Trio aus UK stand in diesem Jahr schon bei Musikgrößen wie Ryan Adams oder Birdy als Vorprogramm auf der Bühne. Nach ihrer ersten deutschen Headlineshow im Frühjahr kehren die Engländerinnen für 3 exklusive Deutschland Shows zurück. Karten ab 16,50 € (zzgl. Gebühren) erhältlich bei www.myticket.de und unter der Hotline 01806 – 777 111 (0,20€/Anruf aus dem dt. Festnetz, max. 0,60€/Anruf aus dem dt. Mobilfunknetz), bei www.eventim.de sowie an den bekannten Vorverkaufsstellen. 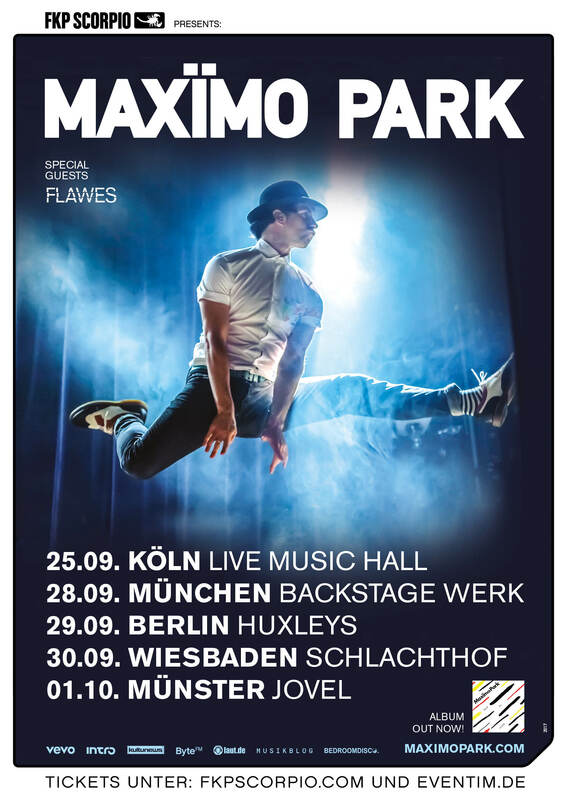 FLAWES, the youngest Visionary Collective member, will be supporting MAXIMO PARK on their German Tour!